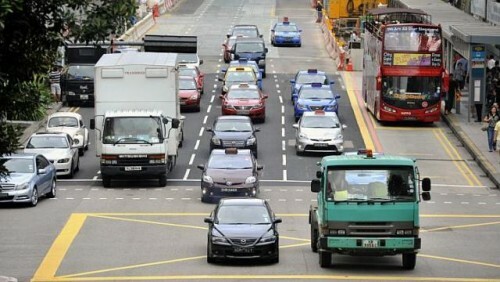 Commuters who are already bewildered by Singapore's extensive range of taxis and their varied and complex fares will soon have to contend with more confusion. Thanks to new-age transport service providers, such as Uber and GrabTaxi, unmarked vehicles with no meter but offering taxi-like services are entering the cab sphere. Confusion, however, may not be their only concern. Some of these vehicles may not have the authorities' approval for paid passenger services. Should something go wrong, like an accident, the commuter may not have legal recourse. Neither would he be covered by insurance. Some commuters are already expressing unease, saying they would prefer to stick to clearly-marked cabs. Singapore is not alone in grappling with the potential pitfalls of this new technology. Several cities are facing the same situation. Last Friday, Sydney, in Australia, launched a probe into ride-sharing app developer Uber. Its government warned drivers against using their private cars to offer paid rides. Dallas, in Texas, is proposing new regulations to govern these emerging "quasi-taxi" services. Shanghai and Beijing, cities in China, have cracked down on a number of taxi apps that have sprouted. Will these new-tech transport applications fizzle or stay? Are they a boon or bane? For the first question, the current consensus is they are quite likely to stay - and thrive. For the second, it depends on who is asking. The apps will definitely lead to stiffer competition for taxi operators, which are likely to see immediate erosion to their phone-booking revenue. The apps also translate to more choices for cabbies and other driving professionals. The heightened competition could persuade taxi companies to reduce what they charge cabbies for each phone booking. That is good for cabbies. But what about commuters? Will the apps improve taxi availability? Not necessarily. As more cabbies cater to phone- or apps-based demand, commuters will find it more difficult to hail a cab on the road. In fact, this may be one of the reasons Shanghai and Beijing cracked down on taxi apps. It was becoming harder for people to hail a cab from the kerbside. Commuters in Singapore are familiar with this phenomenon. During peak hours, only those willing to book via the phone have always been the likeliest to get a cab. The only upside for commuters would be the possibility of phone-booking charges falling in light of heightened competition from the apps. Still, the apps are on the whole probably more positive for cabbies than for commuters. What about regulators? Should they ponder on whether these apps and their related services would lead to a laissez-faire environment reminiscent of the pre-1970s "pirate taxi" days? The Land Transport Authority at present seems to be taking a light-handed approach. But let's hope it remains vigilant and that it will act swiftly to stamp out practices that may compromise the safety of commuters or the reputation of the state. From a big picture perspective, the new apps may increase efficiency, with fewer taxis plying in search of passengers. This should lead to less pollution, less congestion and lower energy use. In short, all the ills of empty cruising.